One of the things I think I could do to become a better parent is to do more craft projects with my kids. Unfortunately, it is my nature to take on big projects. We’ve started a quilt, but in reality, finding time is hard. Green Kid Crafts has a simple solution. This monthly service sends you a little package with all you need to make an eco-friendly craft with your children. Three craft kits are sent out each month. Green Kid Crafts provides fun and sustainable do-it-yourself crafts for kids. Suitable for kids ages 2 through 8, three of our craft kits come straight to you every month, ready to open and enjoy! You receive 3 different craft kits once a month – that’s a lot of sustainable crafting! Green Kid Crafts is a carbon neutral business. We offset 100% of the carbon dioxide generated by our business and help fund the development of renewable energy projects across the United States. Would I buy these product? Probably as a birthday gift, but probably not for ourselves. Although I like the idea, I think the artistic parent in me should really kick it into gear and design my own projects. Green Kid Crafts are affordable at $5 a set. I never had nor used a breastfeeding pillow in my five years of nursing. When my first child was born, we lived in a very small cabin, and I had to seriously limit so-called “baby essentials“. The bobby got bopped, and I preferred to sit in a chair with one leg bent up to help support the babe. That being said, I have friends who thought a breastfeeding pillow was essential. The Gia nursing pillow has a different shape than your standard boppy. It is angled and not symmetrical. An optimal feeding experience takes shape. Would I buy this product? Probably not. It is not made from organic fabrics and is stuffed with polyester. 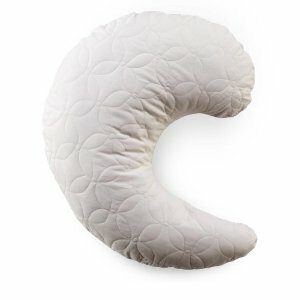 A more eco-friendly alternative, if you feel you need a breastfeeding pillow, is the the Nesting Pillow, although it costs twice as much as the Gia. I do think the angled design would put the baby in a more natural position for nursing, like my propped up leg did. 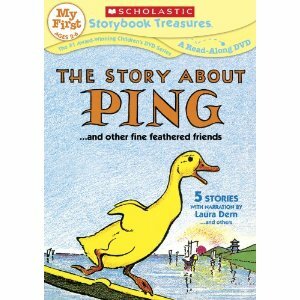 Full of classic stories, I like how the presentations are not rushed. The text is also featured in the bottom of the screen, with each word changing colors to draw young children’s attention to the connection of print to the spoken word. It’s a “Read-Along” DVD. Would I buy these DVDS? No, there is nothing green about them. It is not that I am opposed to the content. I actually adore the stories. It’s that I would prefer to download a digital format for the iPhone or [amazon_link id=”B0013FRNKG” target=”_blank” container=”” container_class=”” ]iPad[/amazon_link]. I think that is a greener options. If you are looking for jewelry that also gives to non-profits, Altruette is thinking along those same lines. 50% of profits from the charms they sell go to the organizations they represent. 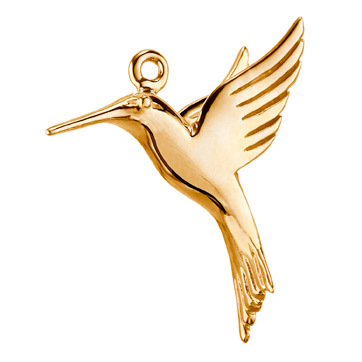 We were sent a Nature Conservancy Hummingbird Charm. It’s easy to talk about going green. But protecting the earth requires more than just lip service. The nearly 60-year-old Nature Conservancy, which works in all 50 states and 30 countries, has preserved more than 119 million acres of land and 5,000 miles of rivers worldwide. Wearing this charm helps ensure that “green” is more than a state of mind. In 100% recycled Sterling Silver plated with 14k gold. 50% is a very high percentage for a company to donate, which I think is reflected in the price. The pendant we were sent retails for $145! Would I buy this product? Probably not. It’s out of my price range, and I am not a charm bracelet person; however, it would really make a nice gift for someone that is into charms. I commend Altruette’s high level of profit donation, but at the same time, I would just as well donate the money directly to the Nature Conservancy if that was my intent. Under the Nile is a company I trust and love. Not only do they make quality organically-grown Egyptian cotton products, they are always affordable! 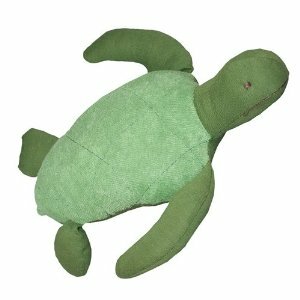 Under the Nile’s natural toy collection features a line of endangered species plush. We were sent an organic sea turtle. Swimming the seas for over 200 million years, this ancient reptile is now endangered due to habitat destruction, entanglement in fishing gear and pollution. The extinction of this majestic creature could have widespread effects on the fragile coastal ecosystem. Size: 10″. Made with the finest 100% organic Egyptian cotton. These toys are organic through and through, including the stuffing. No polyester here! Would I buy this product? Absolutely yes! The price is right at $12, and it is the perfect little toy for a little person. It is such a relief when doing these product reviews to get an authentic green toy!